Who doesn't love flowers and granny squares? 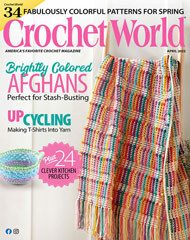 Download this colorful (and free) crochet pattern. You can quickly stitch this pretty afghan to bring the garden into your home all year long. Size: 54" x 71".